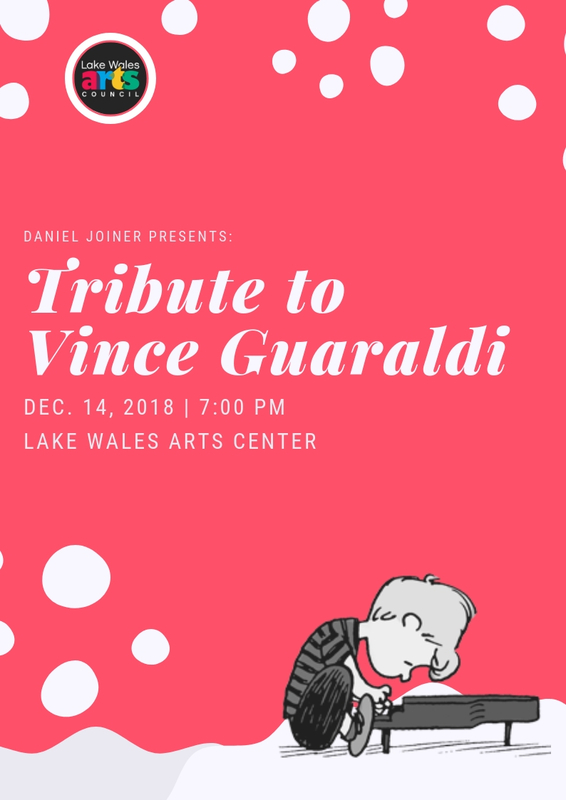 The Lake Wales Arts Center was proud to host Daniel Joiner’s Tribute to Vince Guaraldi on 12/14/2018 at 7:00 PM. The concert was well attended and featured a wide array of Charlie Brown classics and other Christmas favorites. We hope that everyone enjoyed the program and we look forward to Mr. Joiner’s return to Updike Hall in the future!